It’s about routine. 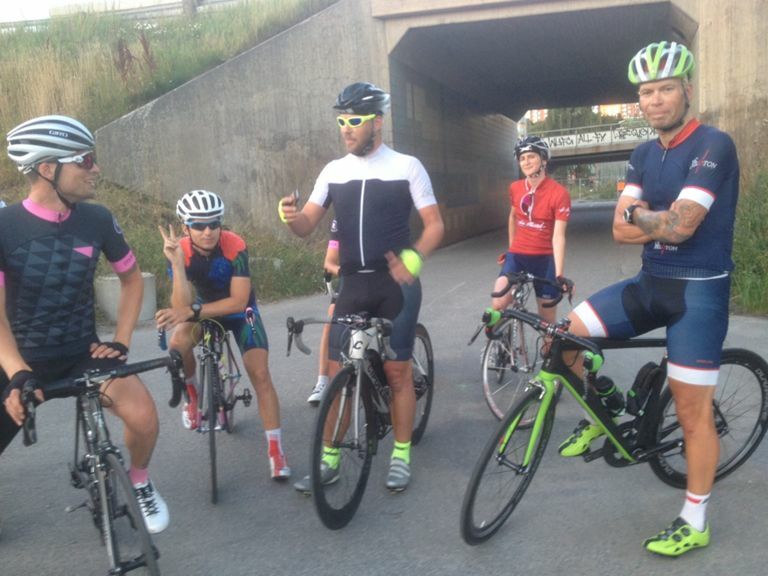 If you ride every morning the same time the body get used to it and adapts. Our bodies do adapt more than we can understand and does all it can to be as good as possible, otherwise complain. My body was tired this morning but I got up and out to Le Peloton. Thought of skipping it but thought again that I would be thinking of it the hole day. It’s better to start a training and get dropped than not to start. 4 Sumos with me and Emil missing out on the picture and 8 in total. Okey for a friday in wet November. 2,5km/h faster than on Wednesday feels good with studded tires. Maybe I can get fast sometime. Yesterday I took a cycling shoe in my hand and thought, this was light. But it also looked slim and small. I tried it on and it just sat around my foot. With great toe space. It was size 42 and I got a 42,5 S-Works shoe at the moment. So half a size smaller but fitted me perfectly. Perfect is the word to describe the shoe, the closest you come. You should try one before you buy a new pair of roadshoes. 208g and you see the paperthing coming on the shoe. Really light. 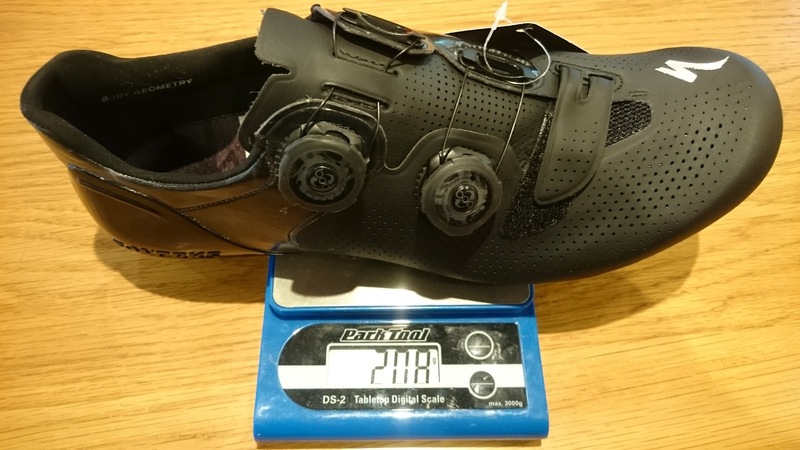 Will the S-Works Sub6 be as good or do I have to get a pair of these for next season? Specialized really god them self a high-end name with S-Works. Cannondale got their Black bikes but you never mention just the name Black when you talk about their top of the line helmet for example. Scott got their RC or is Premium better? No matter if you talk about bikes, helmets, shoes or chainring bolts if you want it from Specialized you know that S-Works are the best. Like with handlebars. 198g is pretty light but not the lightest you can get. Today I mounted a new S-Works handlebar on my cx. I would say that Specialized S-Works shallow bar or Deda Superleggera got the best shape on the market with their flat top that is rotated perfect for holding. 21g lighter! 21g! It’s in the same weight category as the lightest Fi’zi:k handlebar. Like Christmas for a weightweenie like me. sorry for my low socks, good to work in, not for riding. A lot of people this morning with the same goal: Ride fast to get breakfast at café Le Mond. A great guy training so much more than just cycling. Then after a wash of me and my bike and a day of work it was time for the days second ride. Lanterne Rouge with cafecycling Le Mond group. 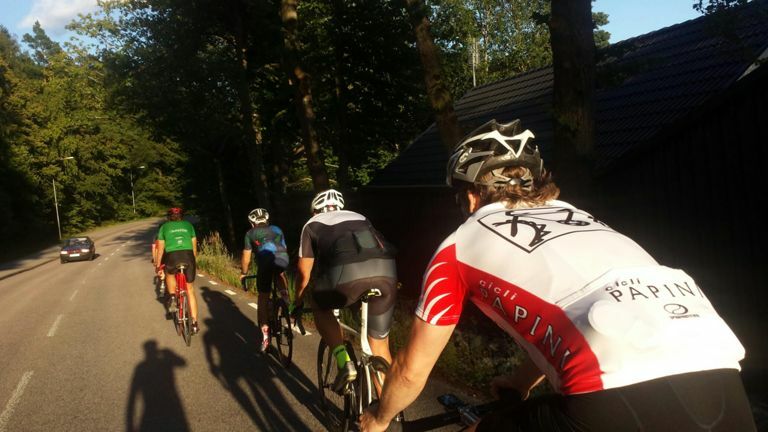 Met up with them close to work and rode the regular route to Gustavsberg. Got company by another guy for a while before he continued with his intervals. My body felt tired as understandable but also I got a bit to little food this afternoon so was hungry in the beginning. Never a good sign and the last part was hard in many ways and my heart rate was real low. Sometimes bikes are so good you can’t resist. Sold my old cantilever cyclocross half a year ago and tried my boss Crux Pro with discs and Force CX1 a couple of months later. That bike was fast and Sram hydraulic disc brakes is like brakes should be. And as I’m working in the worlds best bike store, Specialized Concept Store Stockholm, who sells Crux I was curious on 2016 Crux line up. For 2015 it was pretty boring and there wasn’t one single complete CX that I wanted. But for 2016 all the time since I saw the Elite X1 the first time I was in love. As good as it gets out of a box for under 30000kr. And as you may now I love blue. And since the Tarmac SL3 came in yellow I always wanted a yellow bike. So blue and yellow in Sweden? So, are you race cyclocross this season and on which bike? 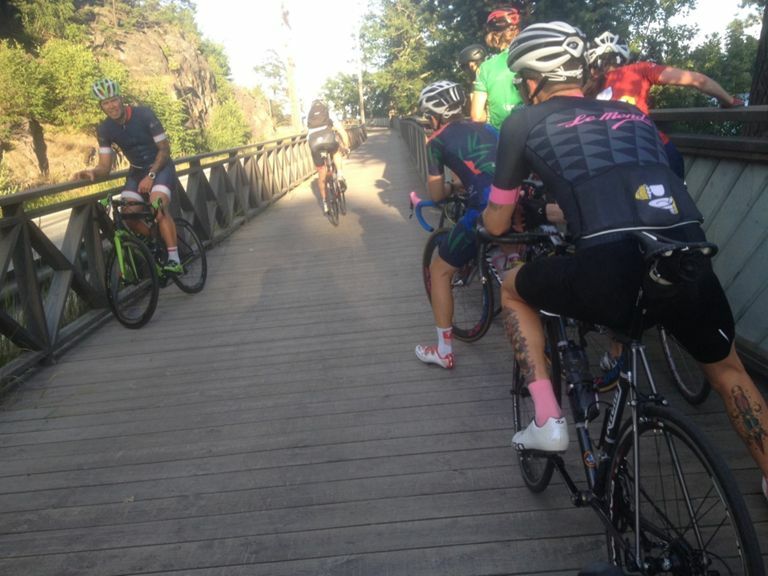 Today I found out the ”bad” thing with riding Le Peloton. It never goes faster, it just get harder. A big group today and it felt pretty good. I tried to hang on, did more turns than usual and never got dropped for real. Up to Fisksätra it felt ok but afterwards it maybe was the hardest thing I’ve done on a roadbike. I was very close to drop up Hellas but claimed me on a wheel. And coming to Älta trying to cover a gap in the front I felt like I should throw up. But i was still there. Did well up Lindalen and I was there. After the last straight I tried to hang on another guy who attacked and caught him with my legs standing straight out, rised again and pushed all I had to the Enskededalsign. Not the fastest Peloton I’ve done but the hardest. And it was a great time. Great to feel good and feel the difference from spring where I got dropped real early. Let’s hope this will continue.